April is the month set aside as Child Abuse and Prevention Month. 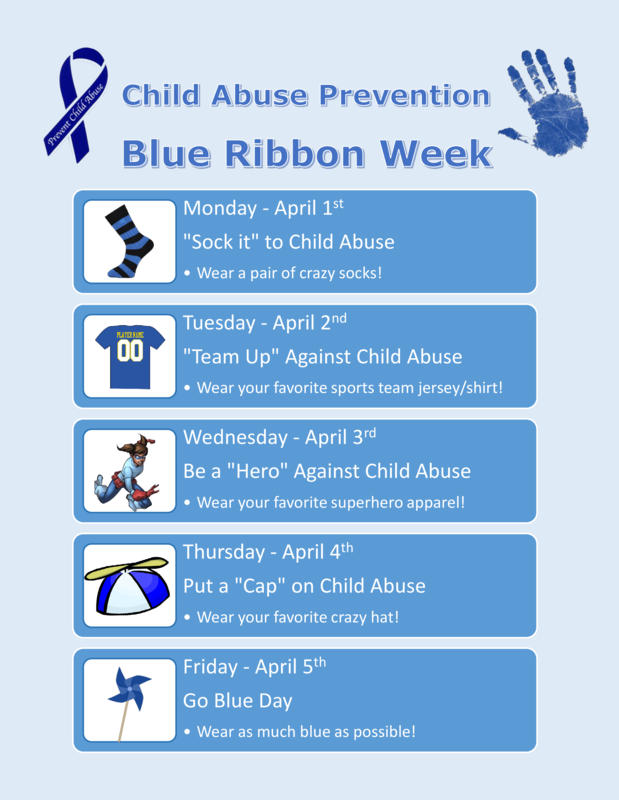 The San Augustine Child Service Board would like to encourage everyone .....banks, businesses, and offices, to start the month by observing Blue Ribbon Week, April 1-5 with some of the activities listed to the right and by displaying (or wearing) bright blue ribbons throughout the month. Educating families and our community at large is one of the most effective ways to reduce the risk of child abuse and neglect and we encourage everyone to join in this effort.